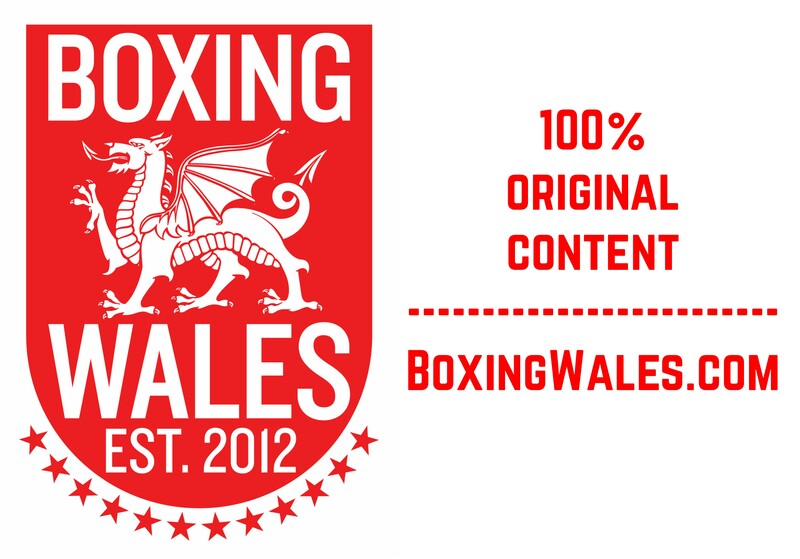 One of the busiest men on the debut show of the Welsh Fight Academy was trainer and manager Gary Lockett, who had three boxers in action at the Brangwyn Hall in Swansea. 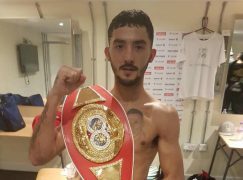 Headlining the night, super-lightweight Chris Jenkins (17-2-1, 8KO) recorded his first victory for 31 months, securing a 60-55 points win against Plymouth’s plucky Chris Adaway (6-29-4) after six straightforward rounds. It was Jenkins’ second outing under Lockett’s wing, who urged the self-styled ‘Rock n Rolla’ to take his time. Jenkins bobbed up and down as he closed the distance, changing the height of his shots and dipping low to land straights to the body. When Jenkins did get close, he not only launched his trademark left to the liver, he followed it with left hooks upstairs before turning around Adaway’s sides. They were clever tactics that meant he was able to evade a response and plan his next move. Encouraged to throw straight, Jenkins kept a distance that forced Adaway to throw more recklessly. He almost paid the price in the third round, lunging in and getting clipped with a left hook. Smelling blood, Jenkins went on the hunt for further damage and Adaway was in full survival mode, only to be saved by the bell. Adaway grew more ambitious in the fifth round, trying to force the action when Jenkins was waiting at range. He was always put back in his place, mostly by body punches but Adaway’s guts deserved recognition. In the final session, Jenkins was buoyed on by his home support to finish in fashion. He obliged, stepping in with thudding shots, though the knockout win evaded him. 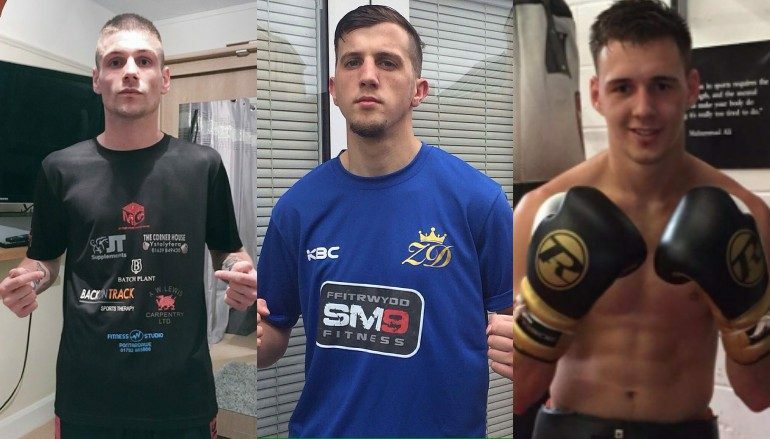 Earlier on in the evening, stablemate Zack Davies (8-1, 2KO) produced arguably the strongest showing of his three-year career with a dominant job on Derbyshire’s durable Lee Connelly (6-24-2). Connelly came to Wales five weeks ago, engaging in an all out war with Bridgend’s Richie Canning. 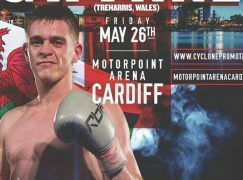 He lost out on the scorecards but received plenty of plaudits, including from Davies who was working as a ringside pundit for S4C. Davies was in no mood to ease in to action, instantly attempting to walk Connelly to the edges of the ring behind a tight guard. When Connelly’s back hit the ropes, it was a trigger for Davies to step in with his power punches, which sent Connelly in to a tight shell defence. Connelly grew more concerned in the second round as Davies worked his way in, sending a strong jab down the pipe to discourage the visitor. When Davies did get in position, he stayed in the pocket and countered in an effective second phase of attack. In response, Connelly sarcastically showboated in the third round, aiming to distract Davies’ attention from the job in hand. The non-stop approach forced Connelly to call on all of his tricks to grab a break and after the bell to the end the fourth round, he draped his arms over the ropes to catch a breather, sucking up the energy to see out the final six minutes. Davies’ output diversified in the fifth round, pivoting on his front foot to uncork a left screw shot that caught the eye of Connelly and ringside observers. The pattern continued in the final round and Davies looked ready to move on towards titles. On a successful day for Swansea City’s football team, avid fan Mano Lee (2-2) came to the ring draped in a Jack flag and added more reason to celebrate. The super-welterweight was fighting in his home city for the first time and marked it with a fourth round stoppage of an unorthodox Gilboard Omier (3-17-1). The 24-year-old, who boxed at Enzo Maccarinelli’s Bonymaen Boxing Club as an amateur, was bouncing back from consecutive losses to crafty journeyman William Warburton. Eager to make amends, he instantly set the tone, pinging Omier with a sharp jab. It served to control Omier’s wild swings, which were difficult to read. When Lee did measure Omier’s lunges, he looked to walk him on to an right uppercut. It came in the third round, immediately covering the pair with claret as Omier’s nose began to leak badly. Between rounds, Lockett stressed the need for patience and Lee responded. He waited to see the opening for the same punch and it quickly came. Lee followed it with a left hook, sending Omier staggering across the ring and Reece Carter had seen enough.